This week I’ve been taking a look at some of the promotional items that were released in 1999 to celebrate the first new Star Wars movie since Return of the Jedi in 1983. 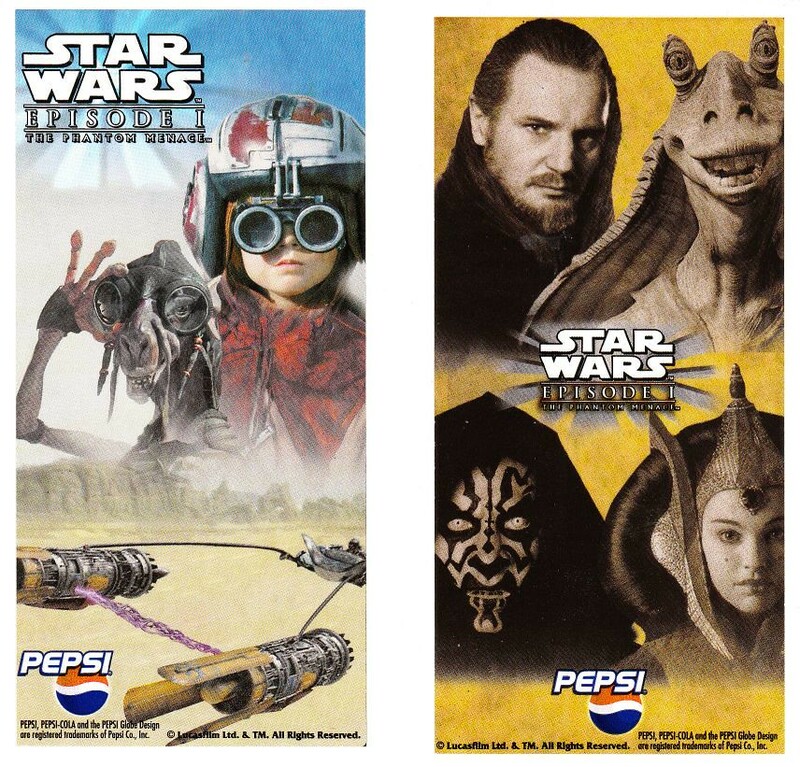 I’ve looked at the current 3D movie promotions as well as the Pepsi Episode I collector soda cans as well as soda bottles. 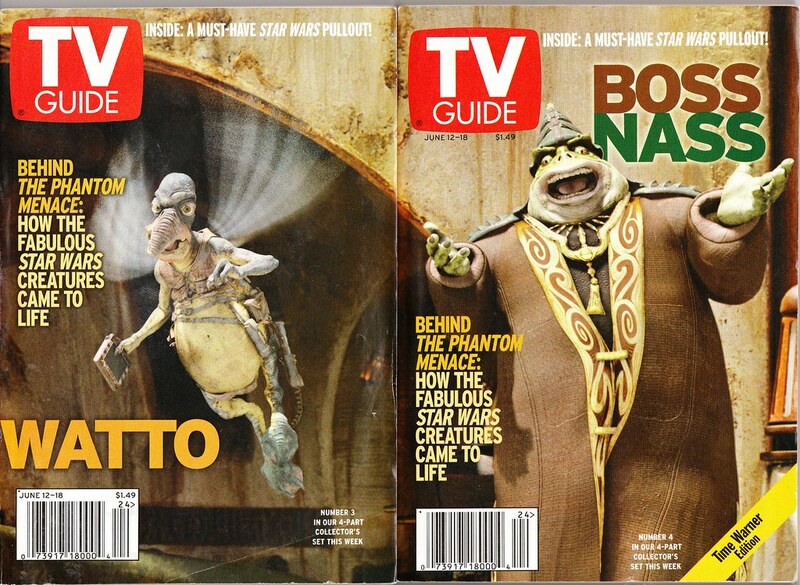 Continuing my look at the promotional extravaganza that was the Star Wars Episode I marketing machine, today I’m going to look at two separate TV Guide promotional cover spreads for Episode I. The first group of covers was from May 15 – 21, 1999. 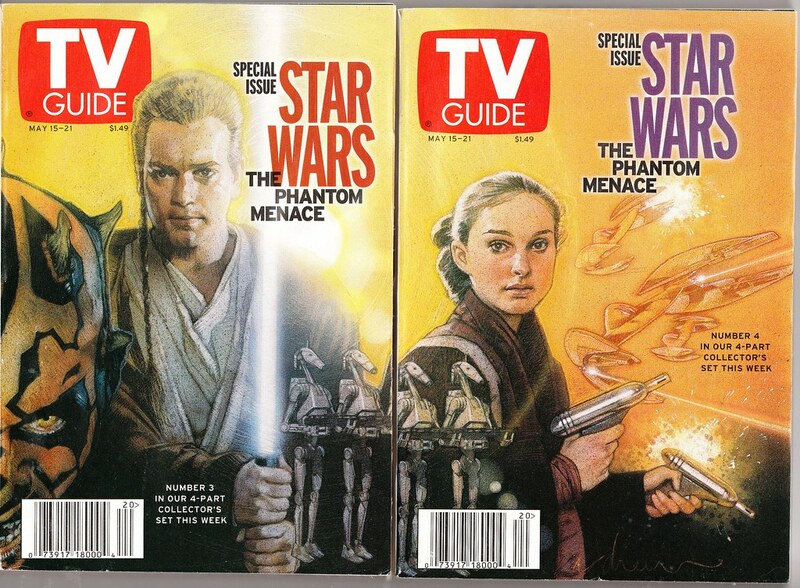 There were four collector covers featuring various Star Wars characters. When you laid them all side by side they combined to form one giant painting. You can click the images to see them bigger on Flickr. I love these images and the artwork is great. 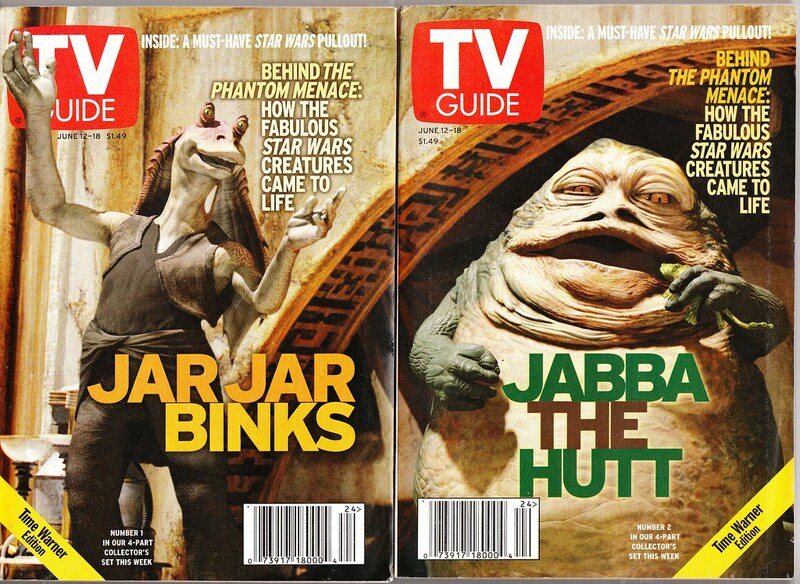 The second set of covers was a month later on Jun 12 – 18, 1999. 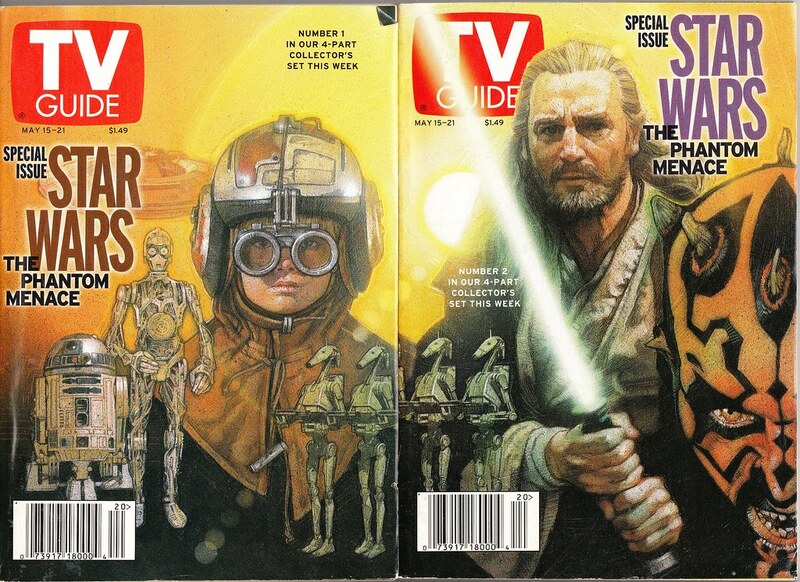 It was also four collector covers featuring Star Wars characters that combined to form one giant image. This group focused more on the CGI characters of Episode I. You can click the images to see them bigger on Flickr. 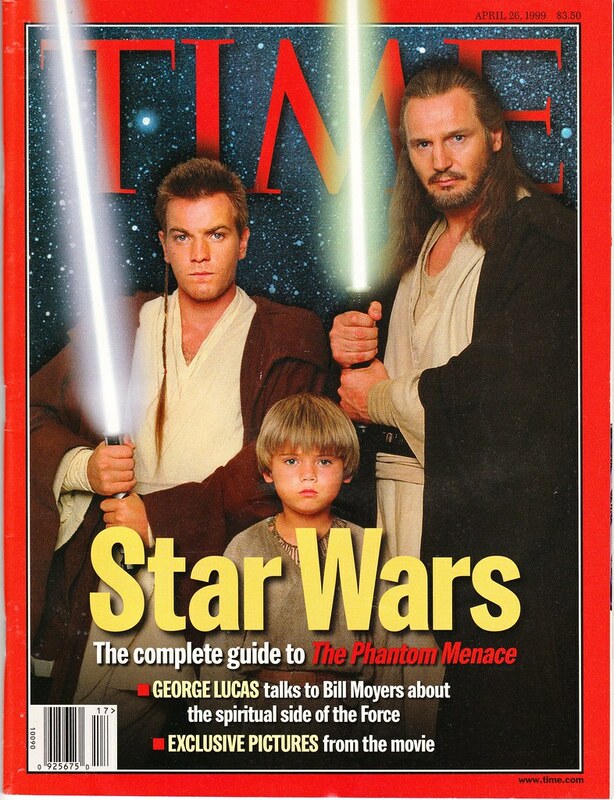 Not surprisingly, Episode I made the cover of Time Magazine. This issue was a month before the release on Apr 26, 1999. Here’s some other random Pepsi promotional material I recently found. 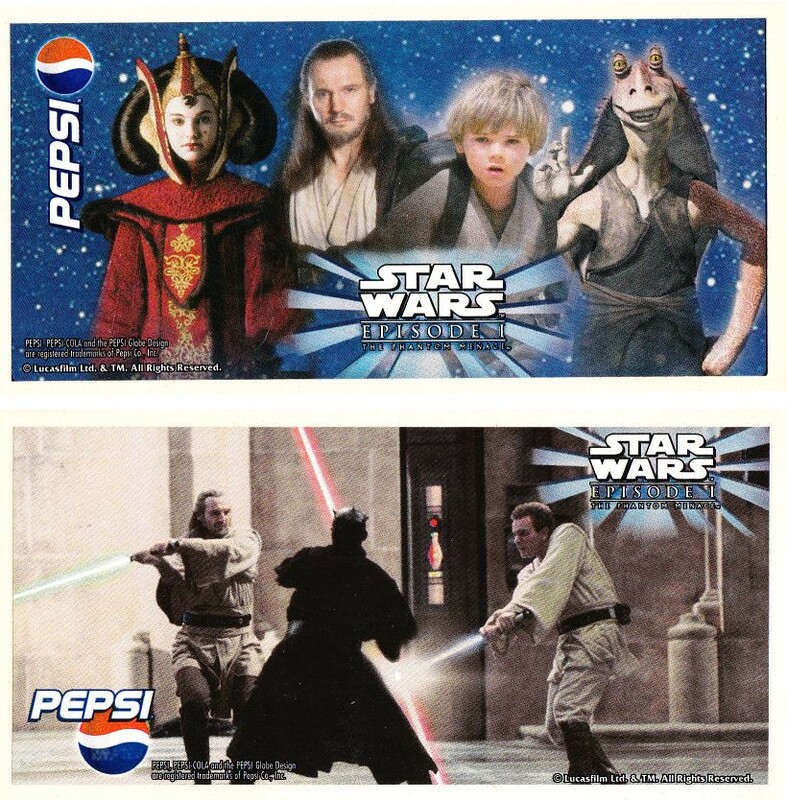 This is a group of four Pepsi stickers promoting Episode I. I think I got these at the first Star Wars Celebration in Denver. Here’s a Pepsi promo poster to “Collect All 24 Cans”. It was used in supermarket displays and schools. Notice it uses the image of one of the stickers in the previous post. I like that they have all the cans displayed around the poster’s border. I’m not sure if there were other posters featuring the images in the above stickers. Here’s a corner sticker promotion. It was normally stuck in the corner of fridge case doors in gas stations. It also compels you to collect all 24 Pepsi cans. 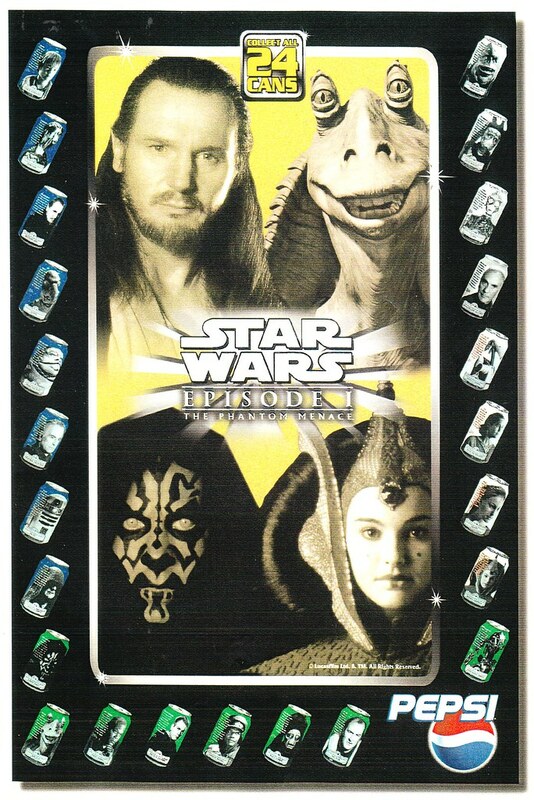 I like the prominent image of Darth Maul in this one. This entry was posted on February 17, 2012 at 10:00 am and is filed under movies, pop culture, Star Wars with tags movies, pop culture, Star Wars. You can follow any responses to this entry through the RSS 2.0 feed. You can skip to the end and leave a response. Pinging is currently not allowed.